Last night’s #FishBallRevolution in Hong Kong, explained. 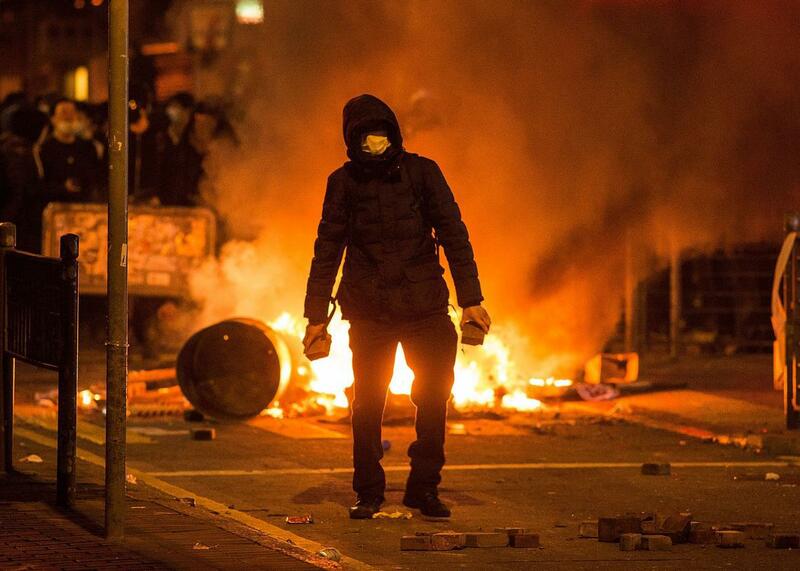 Rioters throw bricks at police in Mong Kok district on Feb. 9, 2016, in Hong Kong. 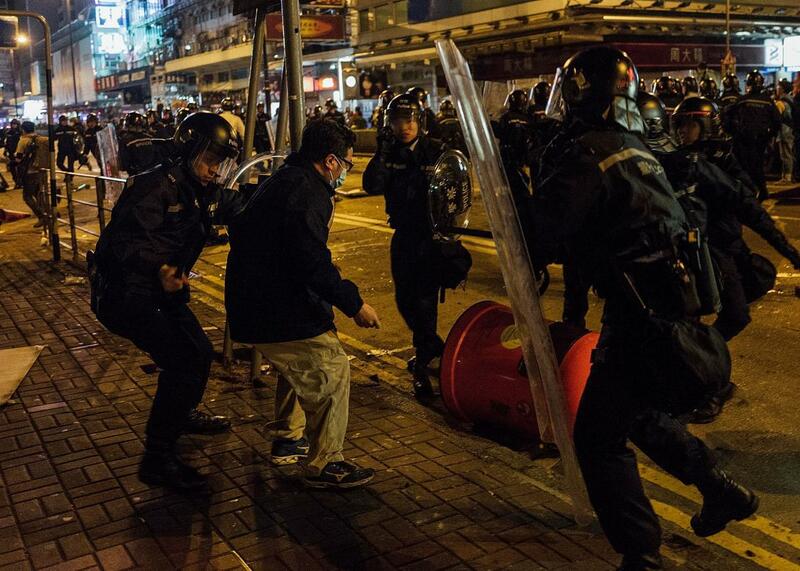 A violent clash between street vendors and police that broke out in central Hong Kong on Monday night has been jokingly called the “fish ball revolution” on social media. It was the city’s largest unrest since the mass pro-democracy protests of 2014. The clash broke out when police tried to clear street food vendors who had set up in the central shopping district of Mong Kok for Monday night’s Lunar New Year celebration. Authorities usually turn a blind eye to these unlicensed vendors but this year tried to take a tougher line. When the police moved in, the vendors started throwing bottles and paving stones. Police used pepper spray and batons and at one point fired warning shots. While Hong Kong cops are usually armed, gun violence is very rare and it’s unusual for them to fire their weapons. 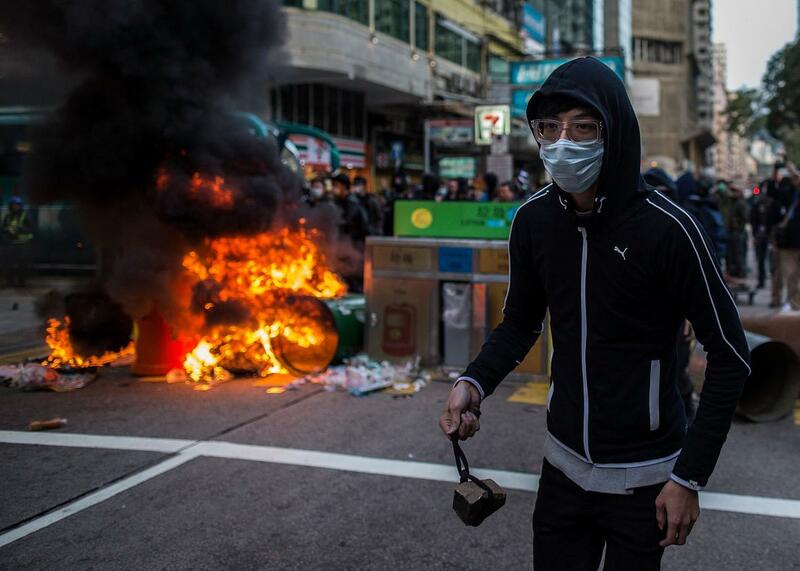 Rioters in the Mong Kok district on Feb. 9, 2016. Police clash with protesters in the Mong Kok district on Feb. 9, 2016. 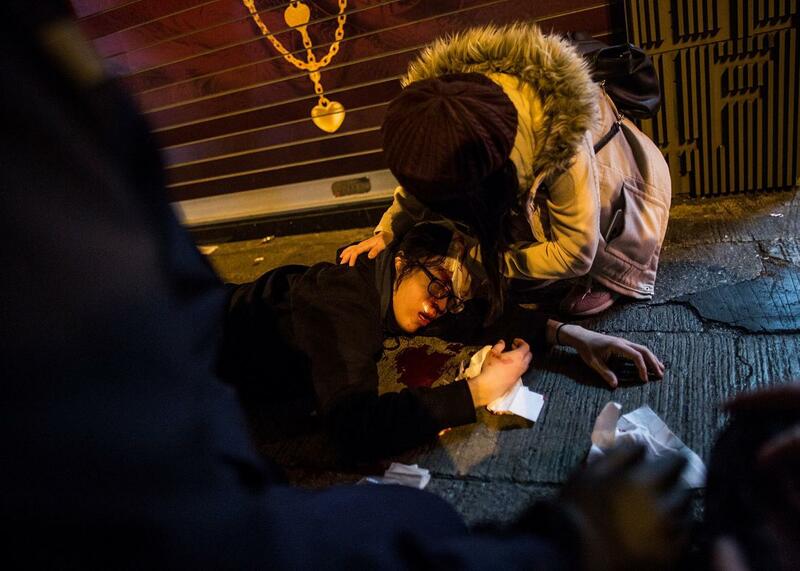 An injured protester receives help in the Mong Kok district on Feb. 9, 2016. Demonstrations are common in Hong Kong, but the violence of this one, which led to 90 people injured and 54 arrested, was not. The incident also comes at a time of heightened tensions over what pro-democracy groups view as Beijing’s attempts to undermine the city’s political independence and civil liberties. There have been a number of demonstrations over the apparent abductions of the owners and employees of an anti-Beijing book shop by mainland Chinese authorities. While Monday’s clash had no direct link to Hong Kong’s Occupy movement, which shut down much of the city in the 2014 pro-democracy protests that became known as the Umbrella Revolution, the BBC reports that some anti-Beijing activists went to Mong Kok to support the vendors. Vendors’ rights might seem like an obscure cause for activists to take on, but the use of force against a local tradition that had long been tolerated by the city’s relatively easy-going political system, is just the sort of thing to push the buttons of those who see Hong Kong’s culture and freedoms now threatened. Things seem to have returned to normal in Mong Kok for now, so this may all blow over. But it wouldn’t be the first time that anger over the treatment of a street vendor by the police has sparked something much larger.